First, make sure you have installed CashNotify, then activate your license. 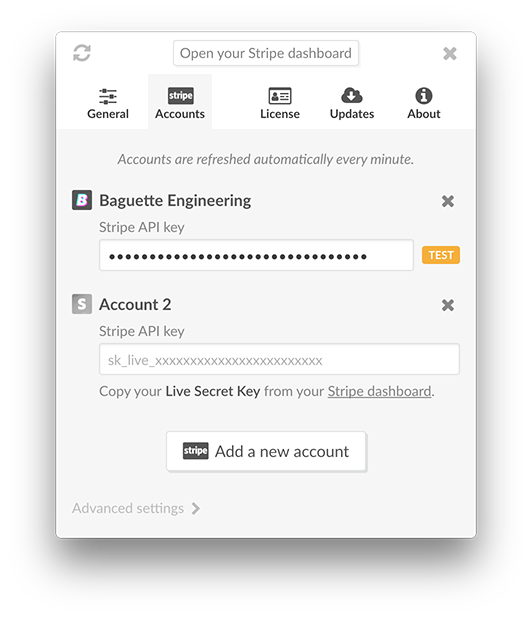 CashNotify uses Stripe’s API Key to fetch relevant data from Stripe, and display them directly within the app. This allows the app to connect directly to Stripe, without involving any other server. If you didn’t set a Stripe API Key yet, CashNotify should ask you for it. 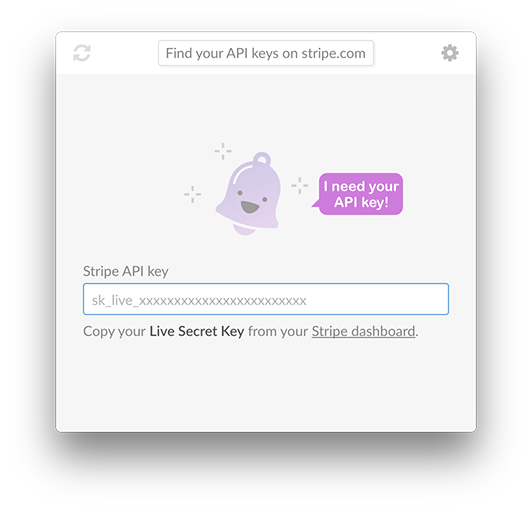 Go to your Stripe API Keys dashboard. Click Reveal live key secret and copy the key to CashNotify. 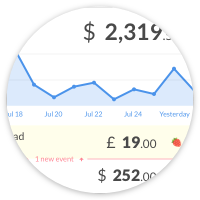 CashNotify will try to access your Stripe account, and get your last 50 events so you have some data to look at. To monitor multiple Stripe accounts, head over to Preferences > Accounts, and click Add a new account. Add as many live or test secret keys as you need. Now go sell some products and watch these notifications pop!